MainBlogsApartheid Against Arabs in Israel? No Way!! The world and even the Israeli Left keeps reciting a totally false mantra that there is anti-Arab apartheid in Israel. It's totally untrue. If anyone is kept out of things, neighborhoods, roads, etc. it's davka Jews. 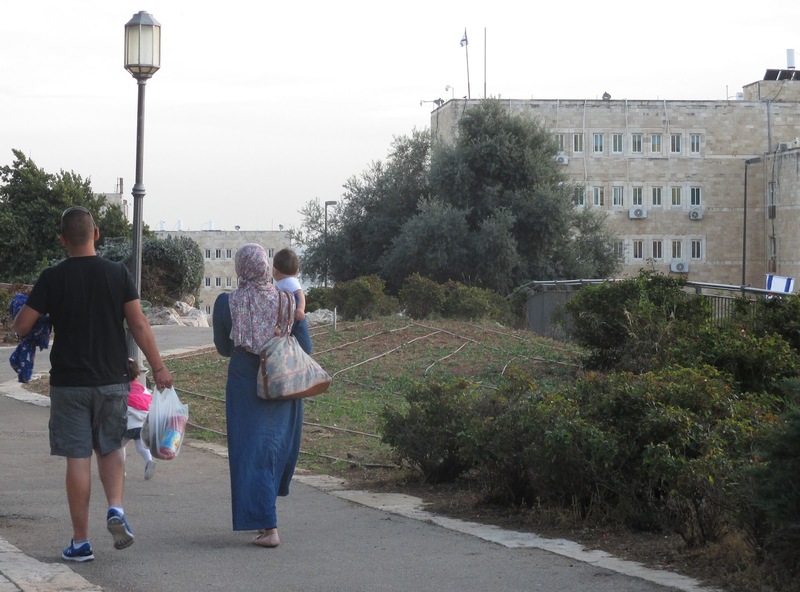 Last week when I was in Jerusalem, I saw an Arab muslim family strolling happily near the Knesset and Government offices and also Arab students in the Israel Museum. Jews just don't have the same freedom of movement, because it's taken for granted that Arab terrorists can attack Jews who enter Arab stores and neighborhoods. And when that happens, davka, the Jews is blamed for it. Yes, the victim is blamed. But these Arabs in obvious Arab muslim dress can be in Jewish areas without any fear in the world.